Home » How To Blog Again After A Long Absence ?? How many times do you find yourself unable to post? You stop posting for a few days without any notice and then sometime later you want to return to your blog. This happens many times with bloggers. Everyone has a personal life and problems and people might find themselves too busy to post. Let us see How to Blog Again after a Long Absence? Dear Readers, Sorry for the long absence. I was too busy with <reason here>. So, I could not post properly! However, now I have a lot of time and I will be writing regularly. Hope you all understand. Here is a small piece of advice: Don’t Write This Kind of Post! 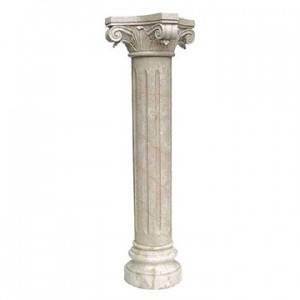 Pillar Posts are the posts which are usually long (in-depth) and give rise to more ideas. They generally get more traffic and comments than regular posts. Spend your time researching and writing pillar posts. Then market them well. This type of posting will attract any lost traffic and comments to your blog. The extra time getting back to your readers will be worth it. Contests are a great way to get traffic and attract new readers. Do not mention that you were absent, just run a big successful contest to attract even more readers. Guest posts are a good way to get links and traffic. Write some good guest posts on similar niche blogs and also ask a few friends to write for your blog. Friends may help you if you find yourself too busy to post. Ask them to write a few posts in your absence. The topics should be very close to what you might write. If you have got a really popular blog, just hire a ghostwriter who may write for you during your absence. Have you ever had a long absence? How did you restart posting? Tell us and other readers How did you Blog again after a long absence by leaving a comment.